Our purpose is to achieve a greater well being in the realm of Forgotten Pk. We are wanting to not be looked down upon, take charge, and gain control over the other clans. Wars will be fought, gambattles will be fought, fights will be won. Be ready to risk. I heard hybrid nation had better pkers. This clan will over-rule eventually. Nick has been accepted as Co Leader btw. We aren't cheaters. We don't need to do that to win. do i join now or later when server comes out? i guess it makes the clan popular so why not join the clan if theres 2 owners in it? thats the point of having an owner in a clan let alone now 2. 2 owners doesnt neccesarily make the clan good just popular. A good amount of good pkers are in hybrid nation and corruption right now. ok.. then thats cool i guess. expands our variety of clans! Now, I know I don't need that great of an application because I'm already so great, but I'll do one anyway. First off, I'd like to say that being in a group with both Aaron and Nick is more of a privilege than anything, and it would be an honor to pk alongside both owners of Forgotten Pk. I am (As you already know) a great member of the community and am Forgotten Pk's oldest Non-Staff member! I am a Melee-only Pker and I am going to stick with that. Although I am not the best Pker, I am a good strategist and I am also a decent leader. 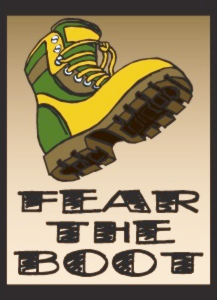 If you accept me into this clan, I will try my best to be the boot that stomps all enemies into the ground. Thanks for reading, and I hope you consider accepting me into your clan! If you didn't already notice, MARIO posted this. The boot was from google, but I edited it. Complain to google. I would rep Gould I made this topic... Thankyou. When both clans got an equal amount of players and stats+gear, then we will see who's better. Obviously, we aren't going to change our stats at all, we will have normal gear, and we are only going to accept a small number of people to join.